The String Orchestra of Brooklyn (SOB) is excited to announce our second weekend conducting workshop — April 30–May 3, 2015 — led by Tito Muñoz (Music Director of The Phoenix Symphony) and Eli Spindel (Artistic Director of the SOB). The SOB Conducting Workshop offers participants conducting training in a non-competitive, supportive atmosphere with highly professional teaching and an accomplished and critically acclaimed community orchestra. The workshop will be limited to 15 participants to ensure that each participant receives at least 45 minutes of podium time with the orchestra. The focus of the workshop will be on baton technique, leadership psychology, and orchestral pedagogy. A conversation with Maestros Muñoz and Spindel will focus on running an ensemble, and an orchestra rehearsal on April 30 led by Tito Muñoz will be open for participants to observe. 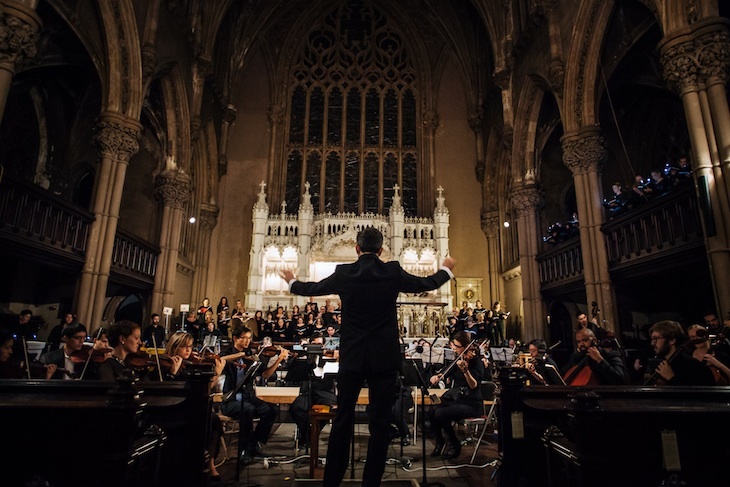 7:15–9:45pm: Orchestra rehearsal led by Tito Muñoz (St. Ann’s Church, Brooklyn Heights).